Gentlemen, it’s product review time and I have a treat for you. 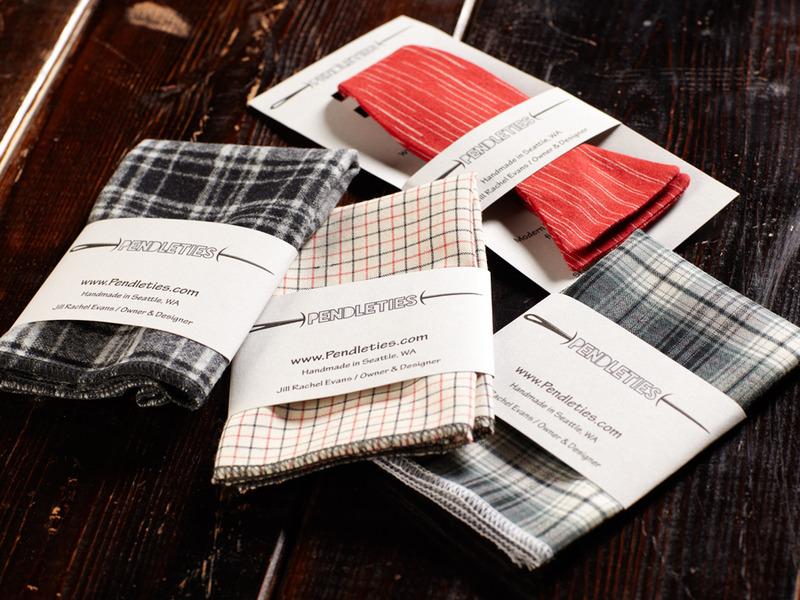 Today I’ll be talking about and reviewing some hand-made pocket squares and bow ties from Pendleties. Jill Rachel Evans is the owner/designer and I’ve known her for a few years through some photography channels. She started her company making bow ties and is now making pocket squares with even more men’s accessories such as neck ties and cufflinks coming soon. I can’t wait to see her new products. The timing for this review couldn’t be better because she makes a lot of her products (namely pocket squares from materials such as cotton and flannel. 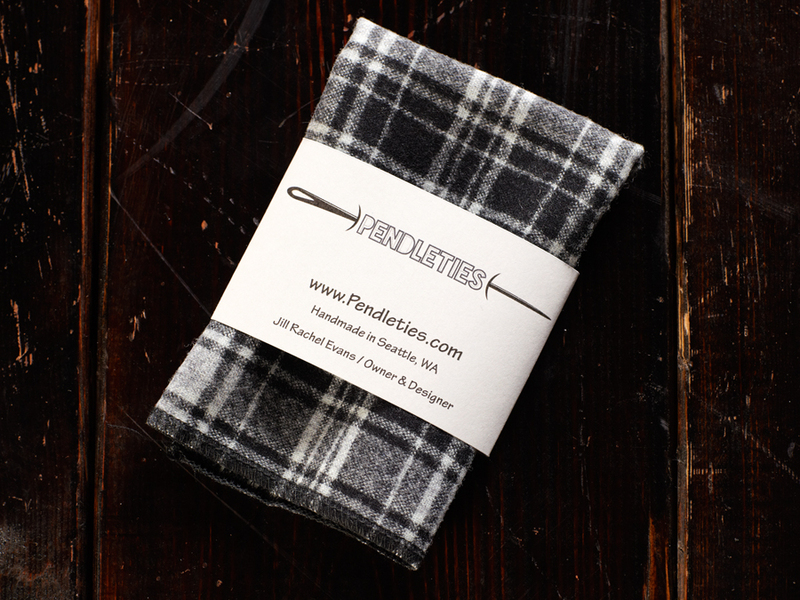 I don’t see very many flannel pocket squares out there, but it’s an absolute perfect accessory for the fall and winter months. 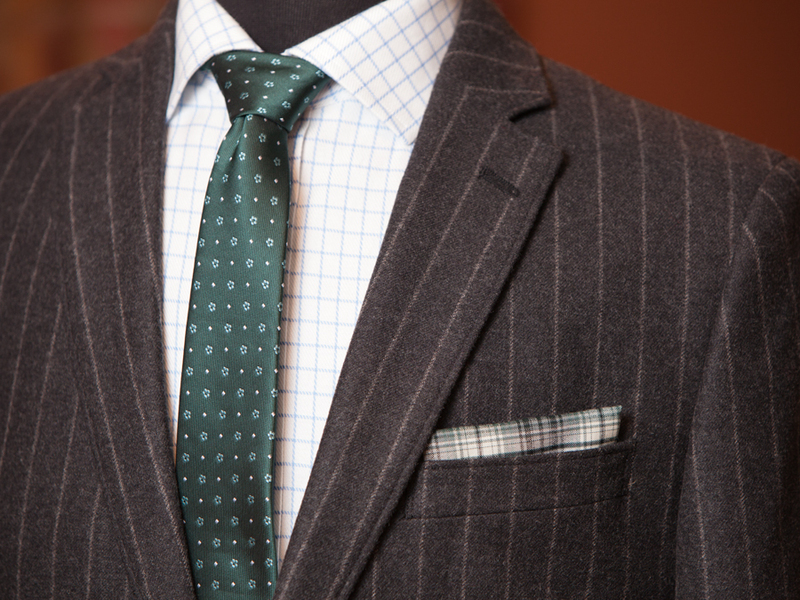 The materials blend flawlessly with your knit ties, wool vests and heavier wool jackets. First up, the pocket squares. To begin, the fabric she uses is woven which means the pattern on the fabric is woven in, and isn’t printed on in ink. They’re a generous size at roughly 11 ½” x 11 ½”. The boarders are sewn well and there’s a real quality feel with them. I was given three samples in the different materials she offers. One is normal thickness cotton (like t-shirt thickness), one is slightly thicker, and the last one is flannel. She offers many different colors and patterns as well. I can honestly say, without hesitation that I’ve absolutely fallen in love with the cream-colored checkered pocket square. I love it so much I’ve already worn it out to see A Christmas Carol at the ACT Theater last week and out to dinner over the weekend. Some of these items have to go back to Pendleties, but I’m keeping this one. Not even kidding. 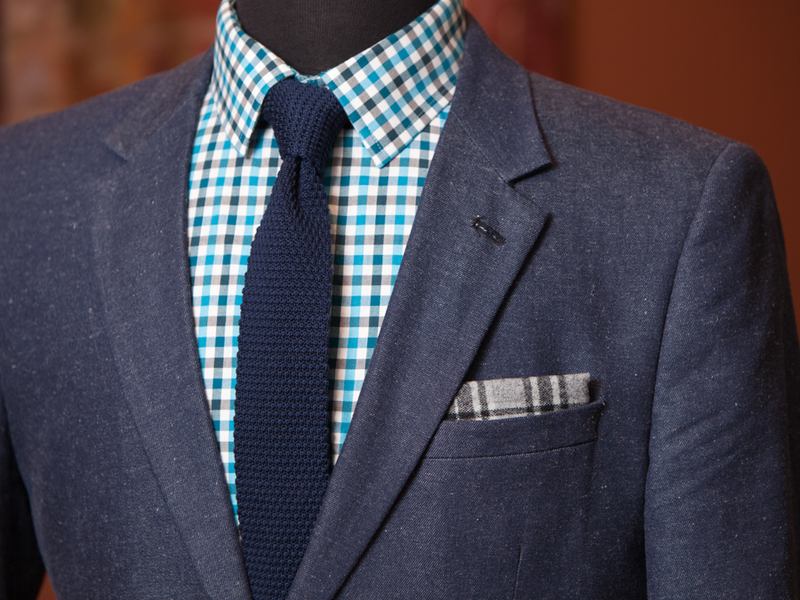 The coordinating options are endless, but here’s a few examples of some easy ways to wear the pocket squares. Next up, the bow tie. Alright, full disclosure.. I’m not really a bow tie guy. There’s two kinds of guys in this world, guys who rock the bow tie, and guys who don’t. I’ve never owned a bow tie and can’t remember the last time I wore one. I even had to learn how to tie one for this post. With that said however, learning to tie one and seeing it on is making me rethink where I stand with the bow tie. Over these last few days, I’ve come to respect the bow tie and I can definitely see where a bow tie has its rightful place among men’s neckwear. 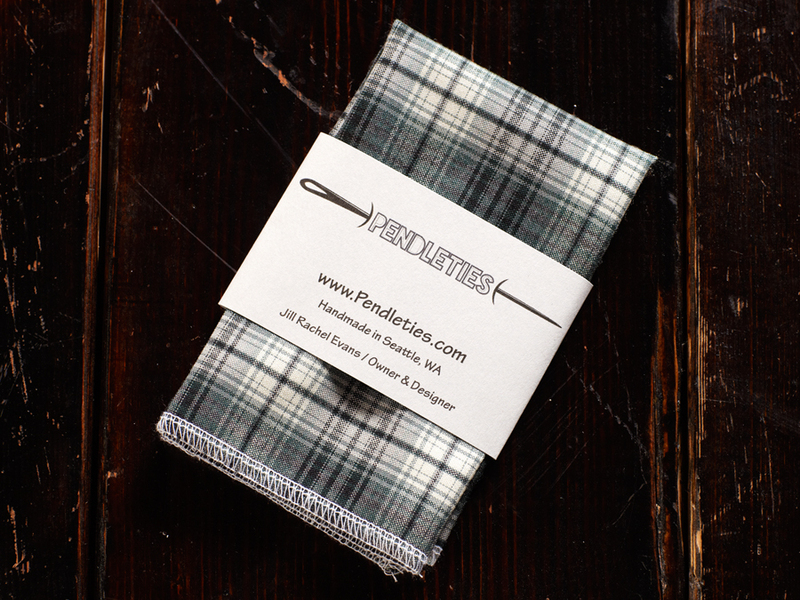 Jill makes both diamond tip and standard styles in 100% cotton with the average knot size being 2 ¼” X 4 ½”. 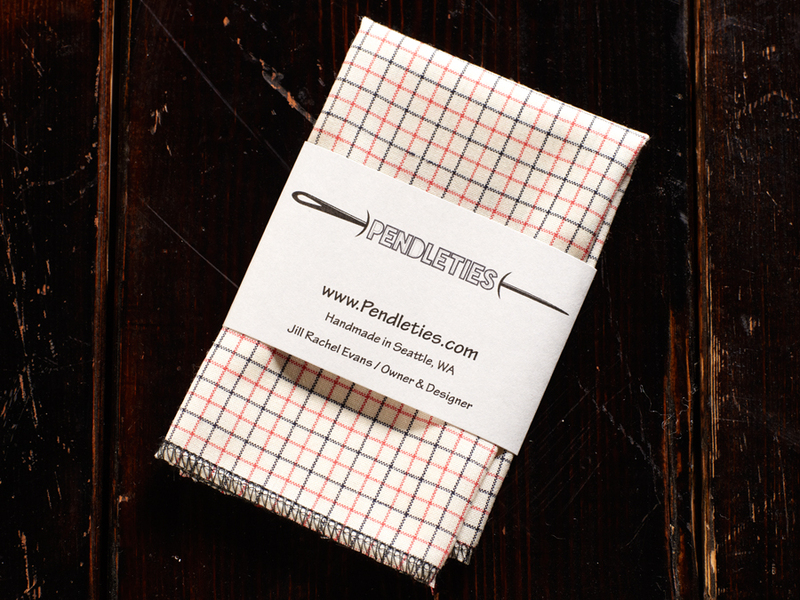 Just like the pocket squares, the fabric is woven, not printed. The adjustable band fits neck sizes 16” to 23” . Although her web site indicates 16” as the minimum, I’m more like a 15” or 15 ½” neck and it fit me just fine. One of the extra details Jill designed in, is a clasp at the back. Just in case you get an awesome knot and don’t want to ruin it by untying it, you’re covered. Just unhook it and you’re ready to go next time. I will say though, a big part of wearing a bow tie is tying it yourself. 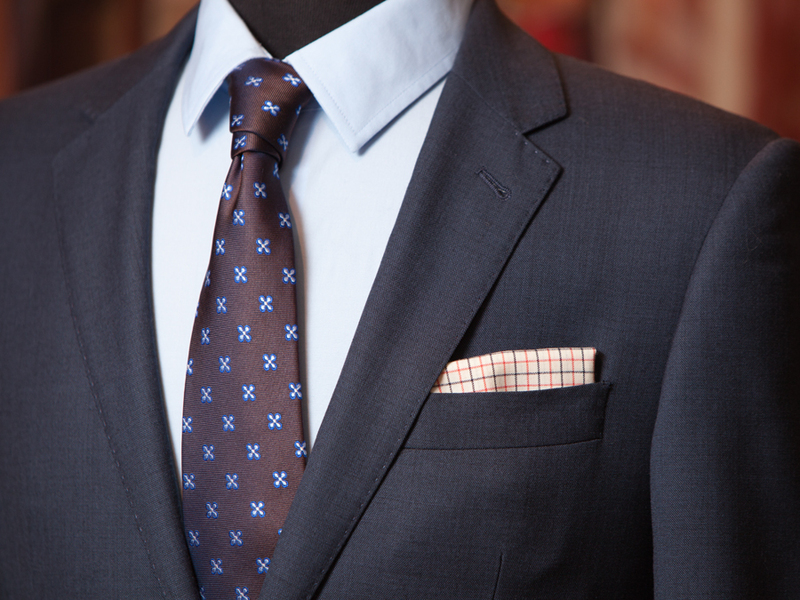 The imperfect knot makes it more appealing. 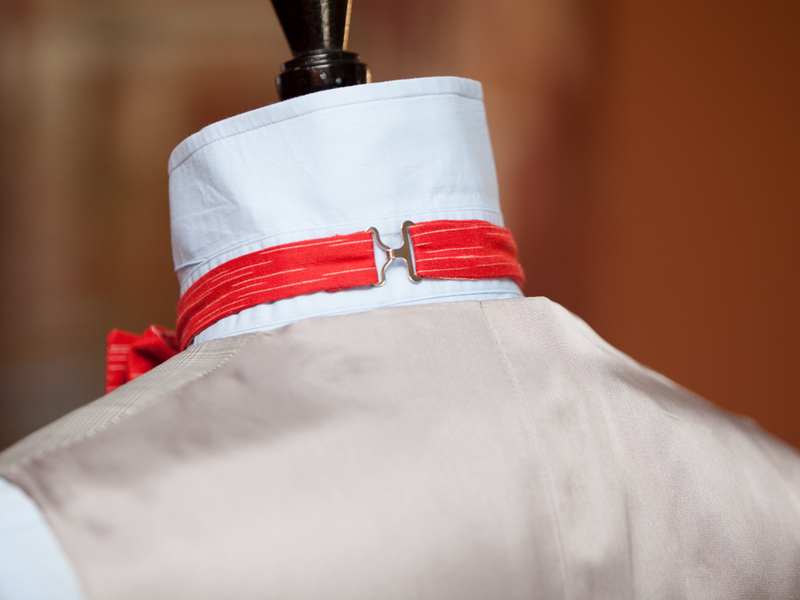 The more perfect the knot, the more it just replicates a factory ‘pre-tied’ bow tie. We’re not 13 years-old anymore and as grown men, we don’t wear pre-tied bow ties. 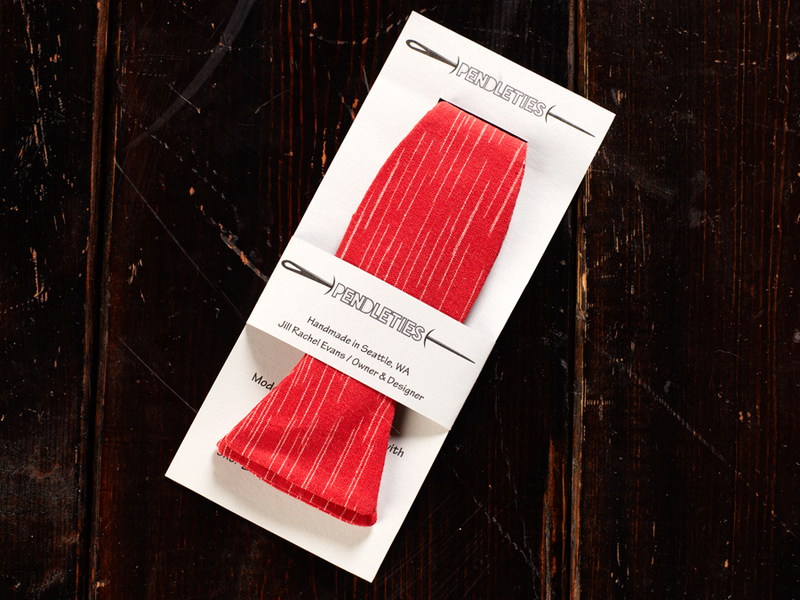 However, if you’d like a Pendleties bow tie that’s pre-tied, she’d be happy to do it for you prior to shipping it out. 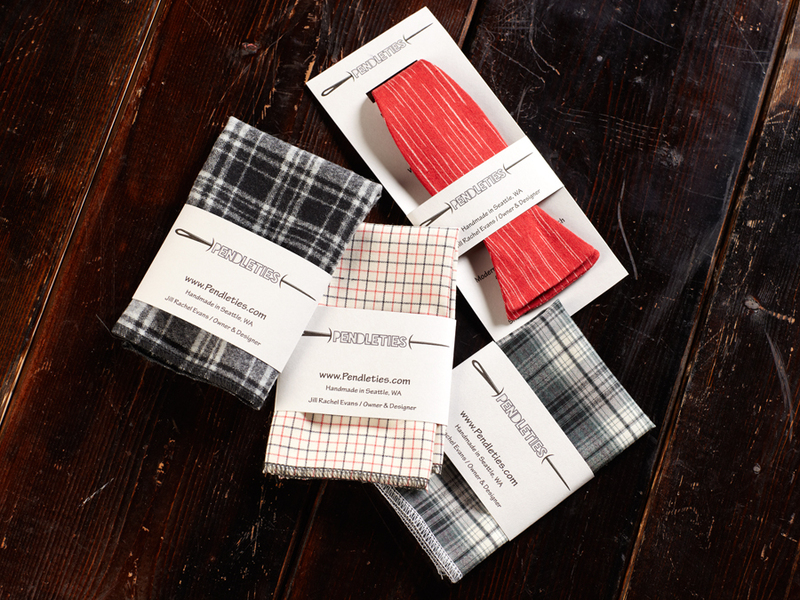 It seems funny to get excited about a few pocket squares and a bow tie, but if you’re like me and have a lot of different pocket squares, these are like nothing else I’ve seen. 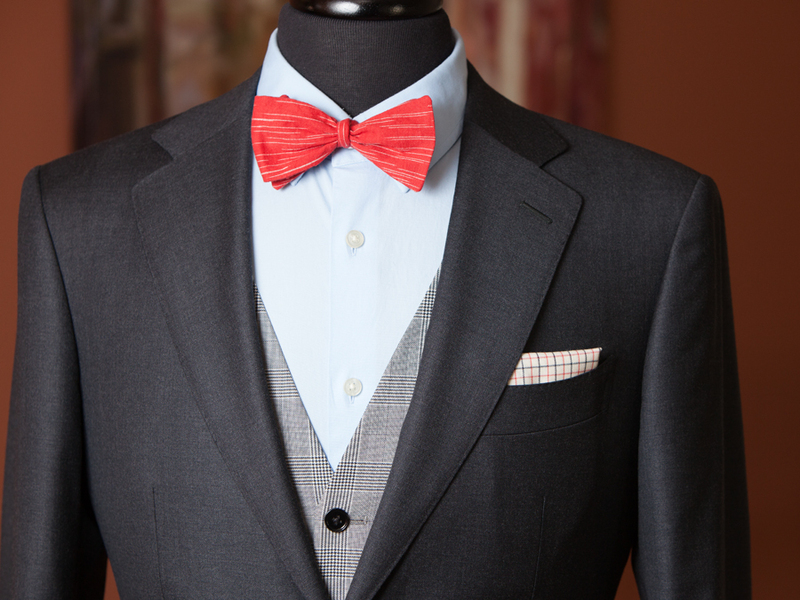 What a great way to add a little distinguished detail that allows you to stand out for the right reasons. Visit the Pendleties web site or the Pendleties Facebook page.